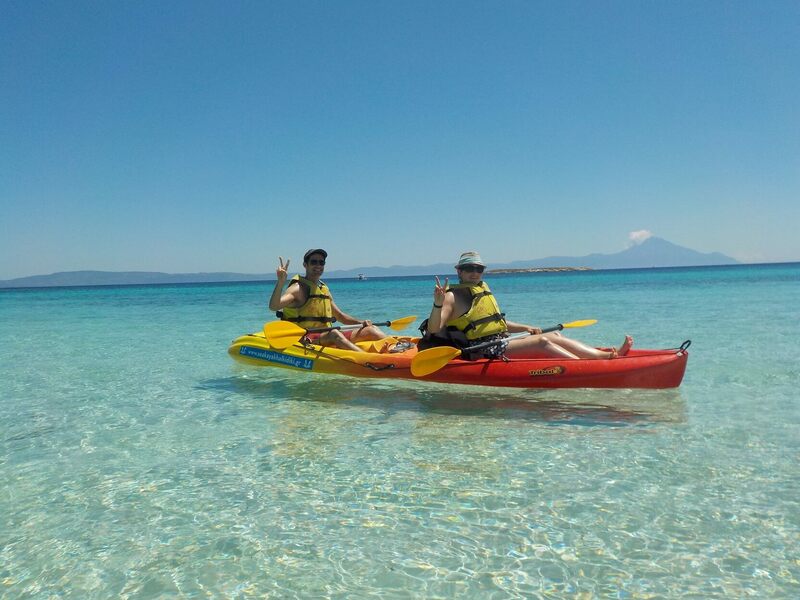 Beautiful scenery, crystal turquoise waters ideal for swimming and snorkeling, this kayak trip has it all! 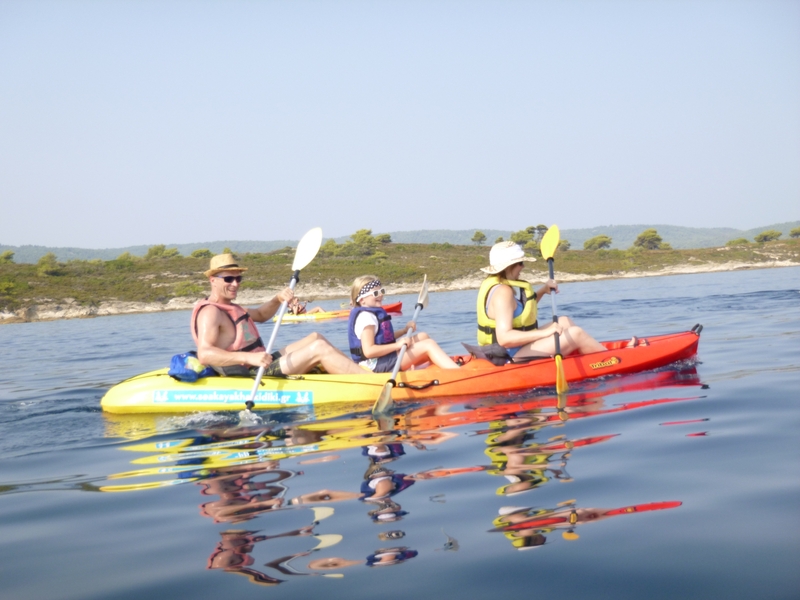 The Blue Coves Sea Kayak Trip is our most popular Sea Kayak trip departing from Vourvourou in Sithonia peninsula, due to the unparalleled beauty found on the nearby Diaporos island. The Blue Coves Kayak trip lasts approximately 5 hours, and allows you to actively enjoy and experience a unique adventure without dedicating an entire day. This is an excellent option for people on limited time, or if you are not sure if the Full Day trip is for you. – Crystal blue-waters ideal for swimming and snorkelling. – Taste our famous traditional pic-nic lunch!